Latvia has almost 500 km of coastline and the beach volleyball is a very popular sport during the summer. 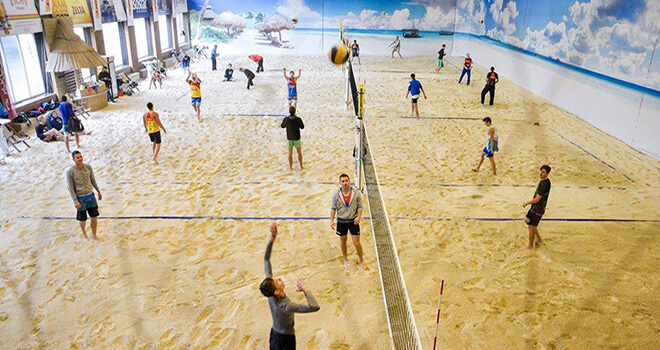 For those who are visiting Riga in winter or in spring we can offer indoor beach volleyball centers. 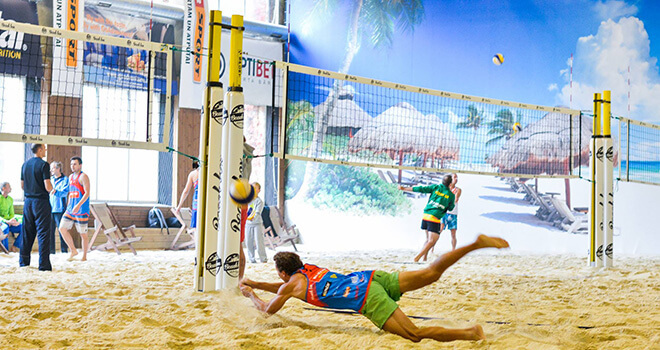 You will be picked up from your hotel and driven to the beach volleyball center. 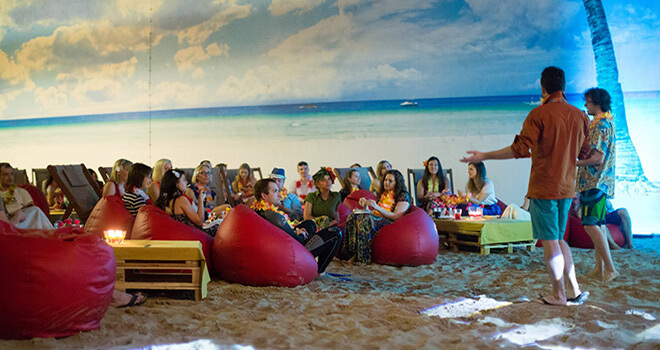 No matter is it winter outside or summer you will have a great time and you will be able to enjoy this activity fully. 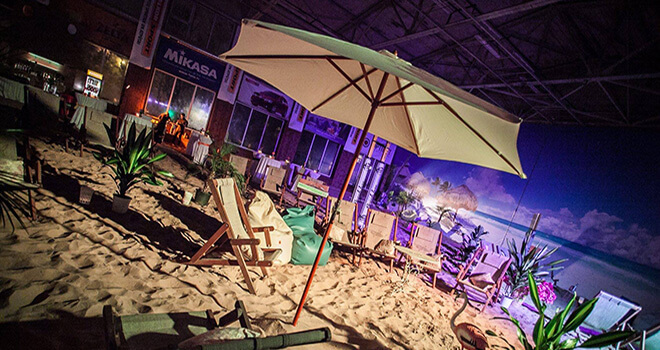 You will feel like in a real beach volleyball tournament in Riga, no matter what season it is. The English speaking staff will explain the basics of the volleyball and the game can begin. If you want to improve your skills you can also get 1 hour training with a professional instructor. And do not forget to take some sports clothes with you. 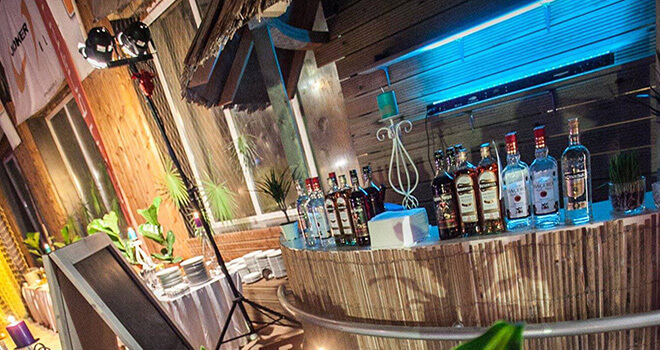 Be ready to spend amazing time together with your friends.